Lynn of Midday Escapades is celebrating her First Blogoversary with a giveaway event! 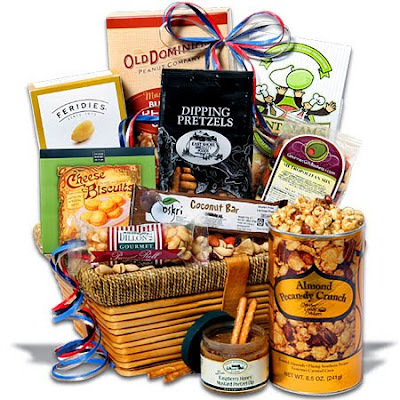 Her first giveaway is for this Classic Snack Gift Basket from GourmetGiftBaskets.com, which contains 10 different treats. There are lots of ways to earn extra entries for this one. This giveaway is open to both U.S. and Canadian entries and ends on July 15th, 2010.